A home accessory that almost everyone has a need for at some point is a vase. They can hold anything from fresh flowers to artificial fillers for instant brightening of a room. 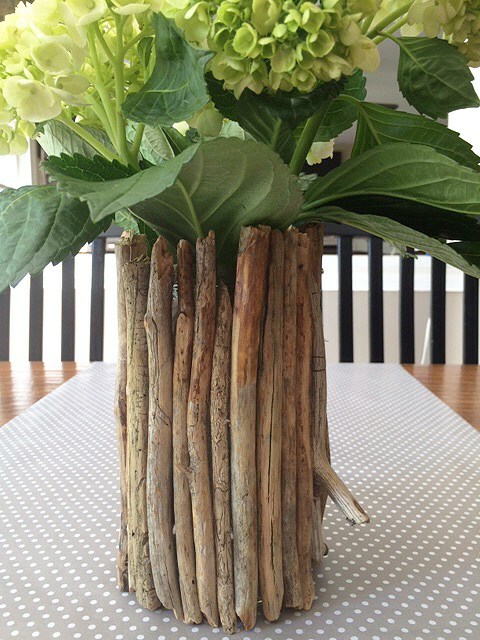 To make the vase even more interesting, it can be decorated in a rustic style with a variety of materials. 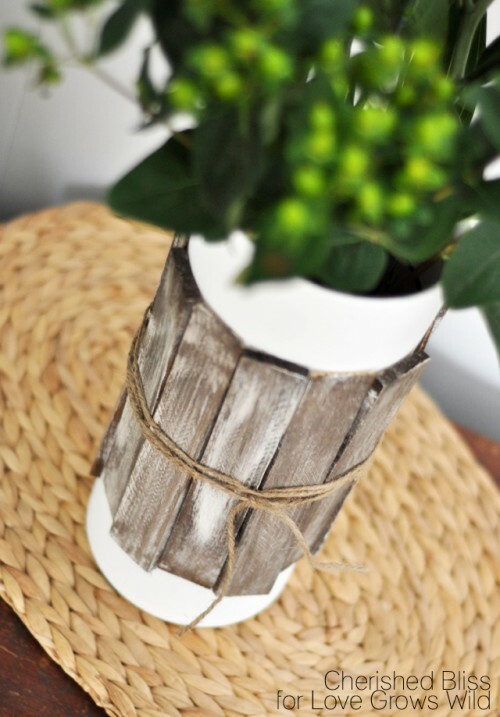 Here is a collection of DIY rustic vases to try. 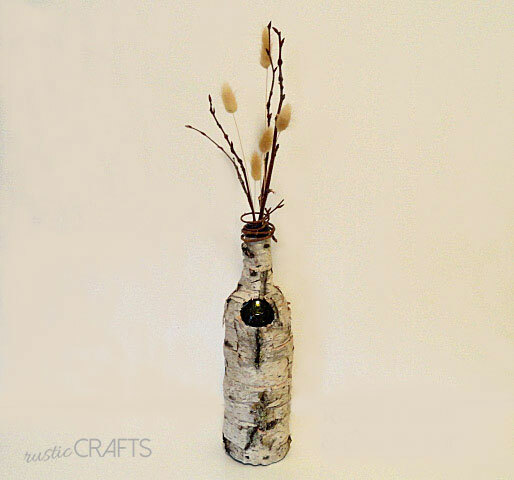 This first vase is one that I made from a recycled wine bottle and birch bark. The rest of the collection are vases that I found across the web that I thought were the most stylish. 1. Rustic Weathered Wood Shim Vase by Love Grows Wild. I love that the weathered wood is actually inexpensive wood shims that have been made to look weathered with vinegar and coffee. 2. Hollow Log Vase by Ashbee Design. 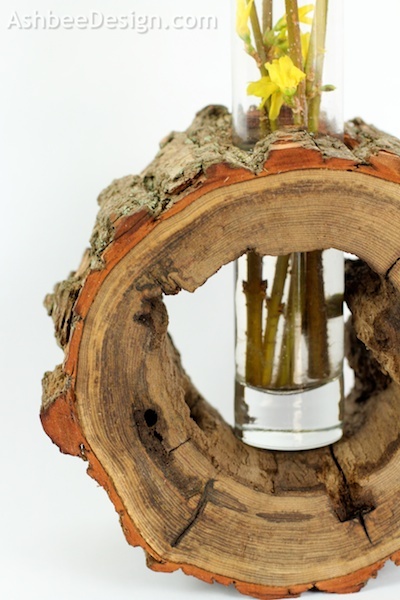 I find hollowed out logs in the woods quite often and love this idea for inserting a bud vase. This DIY takes a couple of power tools for slicing and sanding but the result is a work of art! 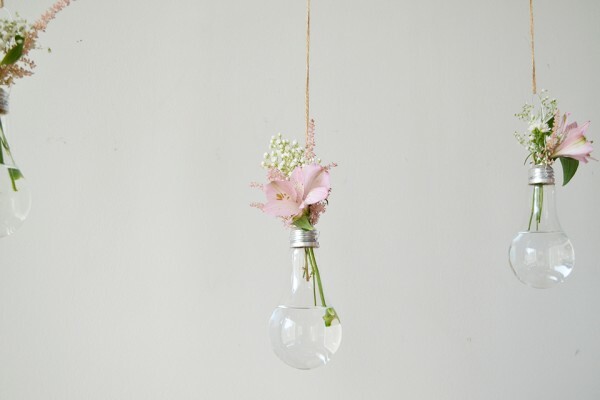 This DIY is more rustic industrial but very delicate and sweet. You can get the full tutorial at Free People. 4. 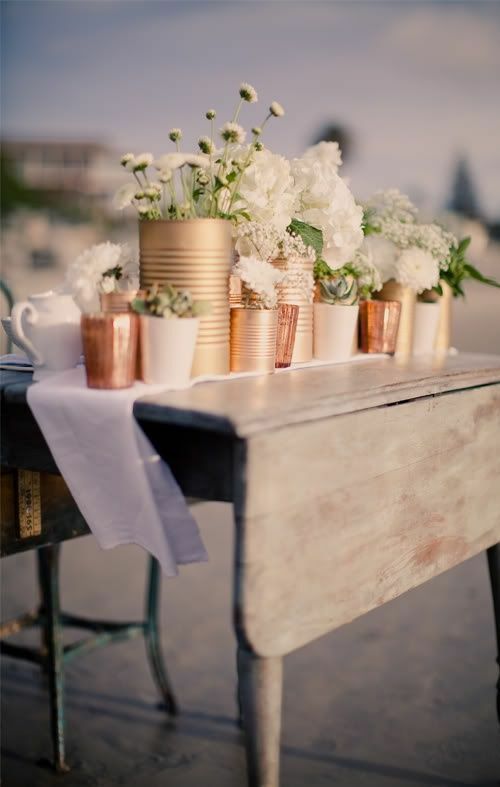 DIY Metallic Coffee Can Vases. For some more rustic industrial inspiration, these painted metallic coffee can vases are perfect for the metallic trend right now. 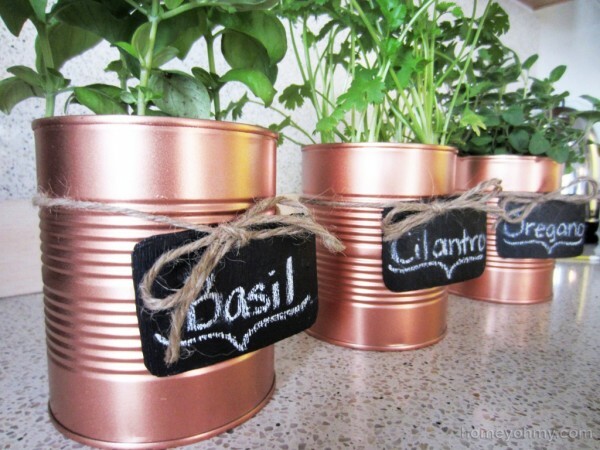 Homey Oh My shows how easy it is to make the adorable herb planters. 5. Twig Vase by Greco Design. This last vase is another one that can be made at practically zero cost. All you need is to collect a jar of any size and some twigs from outside. The twigs are then hot glued to the jar – simple, rustic and beautiful! Do you have a favorite rustic vase or any unique DIY’s that you have tried? The metallic coffee can vases are fantastic! That’s an idea I will certainly use here at home. Awesome tips I get whenever I come here! What color of spray did you use for the copper look? I’m glad that you like them! The spray paint that was used was Rustoleum metallic spray paint in copper.